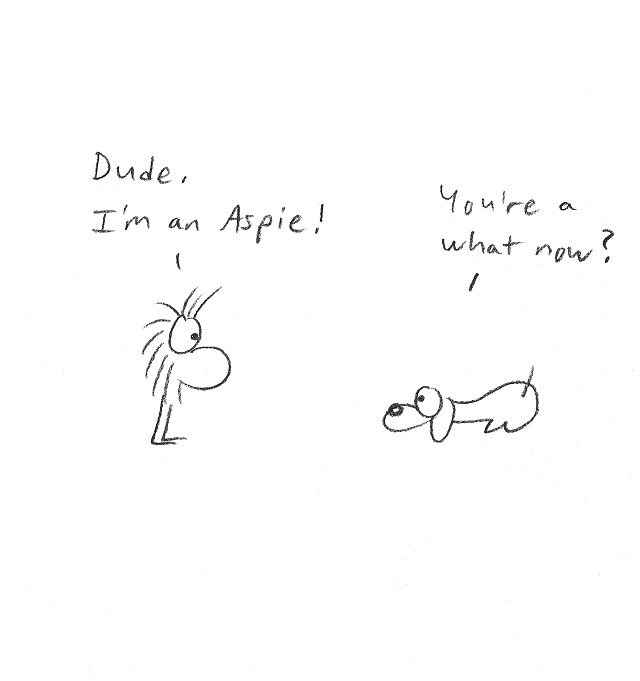 My name is Fuzzy and I have Asperger’s syndrome. What’s that mean, you ask? Well, you’re in luck, cause I’ve made this helpful guide! Why do I have Asperger’s? No one is sure where it comes from, but it's not a disease, just a difference in how my brain works. It isn’t my fault, just something I’ve always had and always will. Like having a big nose. 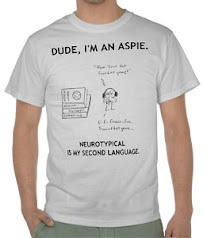 I was BORN with Asperger’s, and I’m PROUD of it! 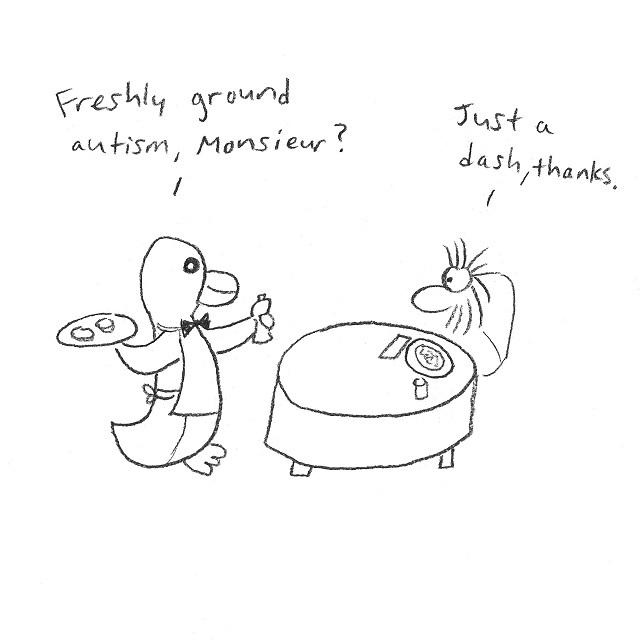 Asperger’s is sometimes called Wrong Planet syndrome. That's because I act and think so differently from others, it can make me feel like an alien! But there’s nothing wrong with the way I am, and I’m not the only one who feels this way. I just see the world differently, that’s all. It’s not easy to be different, but it can be a good thing too. Now that I know what Asperger’s is, I have a name for why I'm different. It explains why I am the way I am. So it kind of makes me happy! Like finding a box I fit in. People can often misunderstand me. They might think I’m being rude because I don’t look them in the eye. But this is part of being an Aspie! 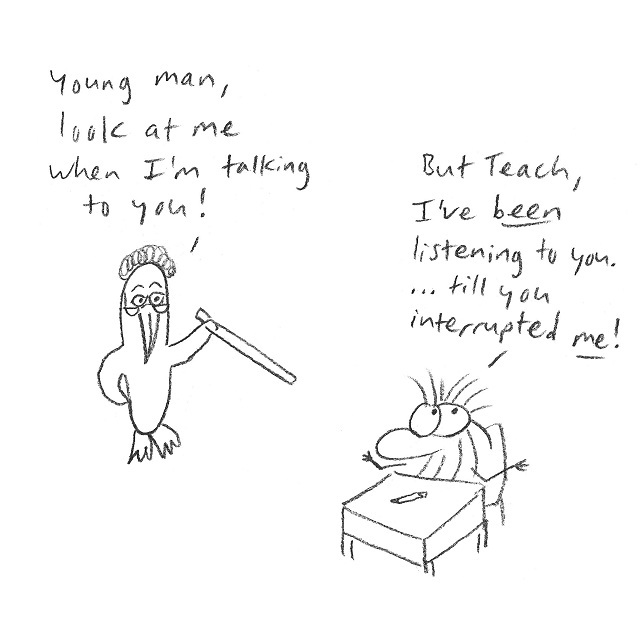 I need to look away because it’s the only way I can concentrate on what you’re saying. It’s easier for me to be around one person than many. When someone’s talking, they’re not only using their mouth, but also their face and their hands. That’s a lot to pay attention to! Being an Aspie means my brain works harder to understand all that. The more people in the room, the harder it gets to keep up! 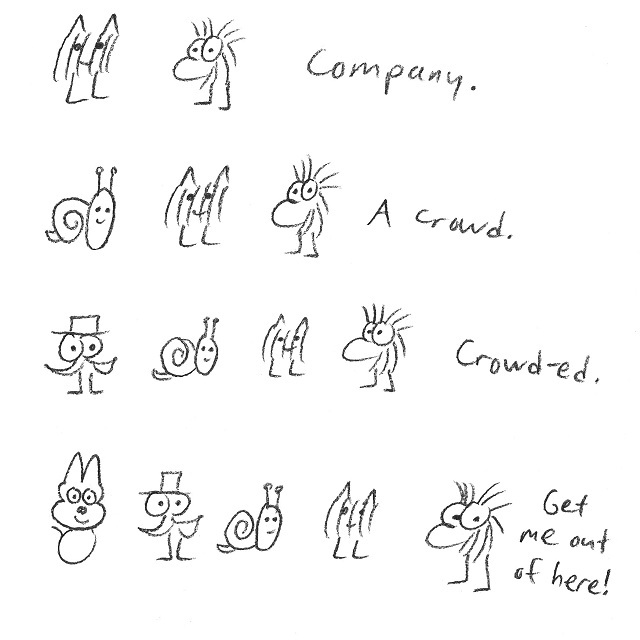 When I’m in a crowded or noisy place, I can get very uncomfortable! Sometimes it feels like I’m spinning out of control. I need to leave and go somewhere quiet, or I might have a meltdown. It’s best to let me have some time out and some space. 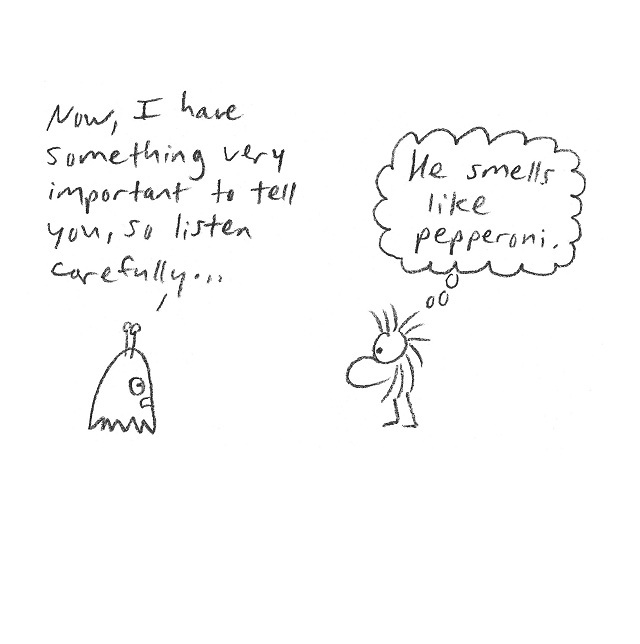 Aspies can also have super-senses. I can hear things others can’t hear, like the refrigerator running. If there's a sudden loud noise, I might jump out of my seat. There are lots of other things I notice that others don't. 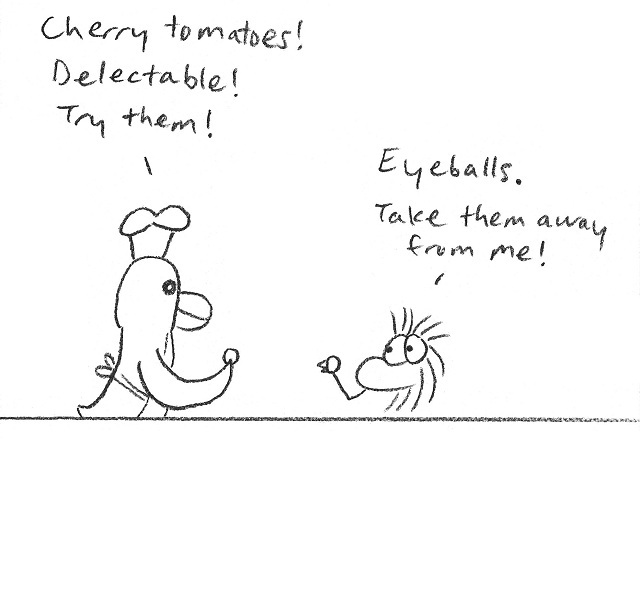 Other times, I can be super-sensitive to scratchy clothing, or fluorescent lighting, or certain food textures. Repetition and routine are very relaxing to me. When I feel anxious, it helps if I fidget, or “stim” by rocking, or tapping my foot. Also, I like to perseverate on certain words or sounds, or repeat them over and over, if I like how they sound. Aspies usually have special interests or hobbies that we like to do on our own, and spend lots of time on. We can go on and on talking about our interests. 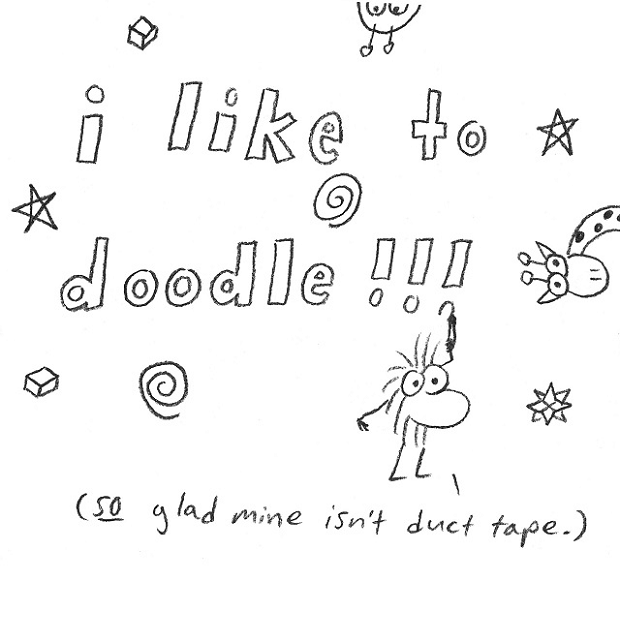 This can be anything from trains, to foreign languages, to mollusks, to duct tape. Are there good things about being an Aspie? Yes! We are honest. We pay attention to the little things. We are good listeners, and good problem-solvers. Often, we become experts in our special interest area. Einstein, Beethoven, and Michelangelo are some of the famous folks believed to have had Asperger’s. So that is a glimpse into my world. I hope it has helped you better understand me and others like me. If we were all the same, the world would be a boring place. 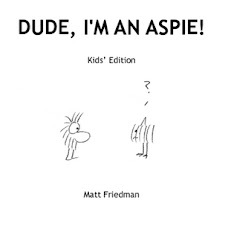 Dude, I’m an Aspie, and I can be whatever I want to be, and do whatever I want to do! This is an excellent primer! Yes, me too, old and new favorites! Wonderful!! It came across very well, and as a mother I can see how it is so kid friendly!! Thanks as always for a smile! I generally carry at least one copy of your book around with me. I just shared it with a bunch of moms at a birthday party today. One has a son with autism, my son has Asperger's, and 2 other moms have boys that are currently being evaluated. So, it was a great to share with them. 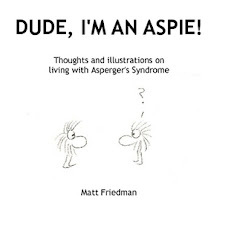 With 3 Aspies in the family, we love your book! My husband actually keeps a copy on a ledge just outside of his cubicle at work. Very cool. I'm so glad it's helpful! 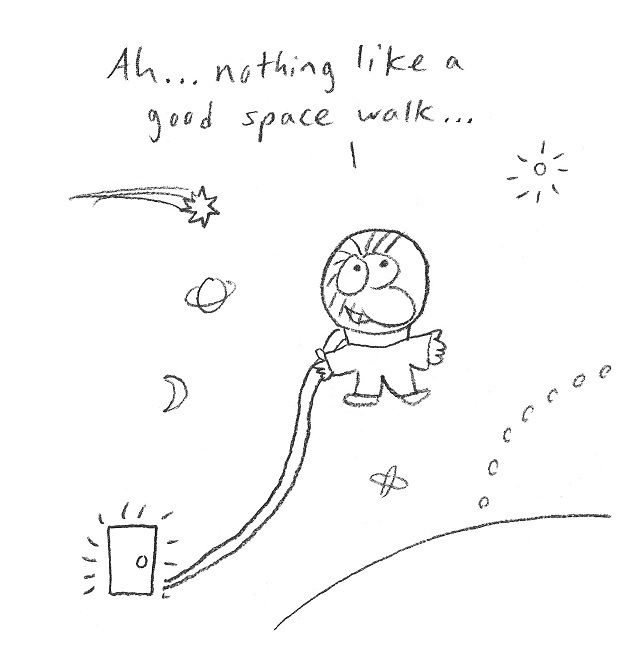 oh cool, the space walk got in there! :D I'm certainly going to show this to my son, it is a perfect kid and any-ages edition. 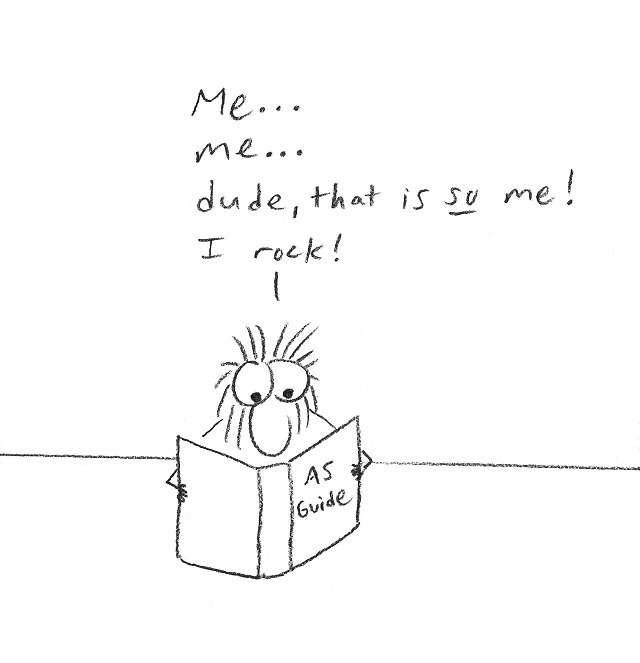 You *do* rock! It sure did - thanks for the idea! Very inspiring, Lol!! I just Tweeted this on Twitter. You're so silly. Cool Cartoon. I have a 14 year old son who was diagnosed with Aspie 2 years ago. We knew he had it for years, but could not convince the school to test him. We finally had to test him ourselves and presented it to the school. They still fought us over it as he was too "friendly" to have AS. Two years later we had him tested again and finally the school admitted they misdiagnosed him as emotionally disturbed. 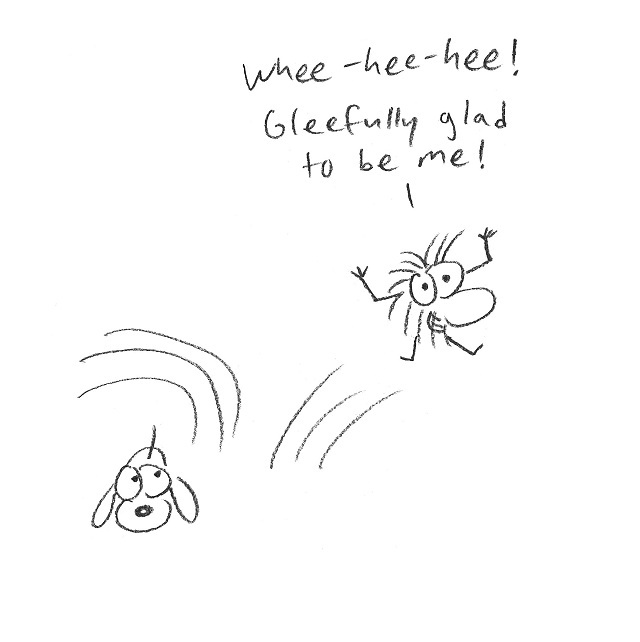 Gabe has struggled with trying to fit in, he does not understand why he is different then everyone else. 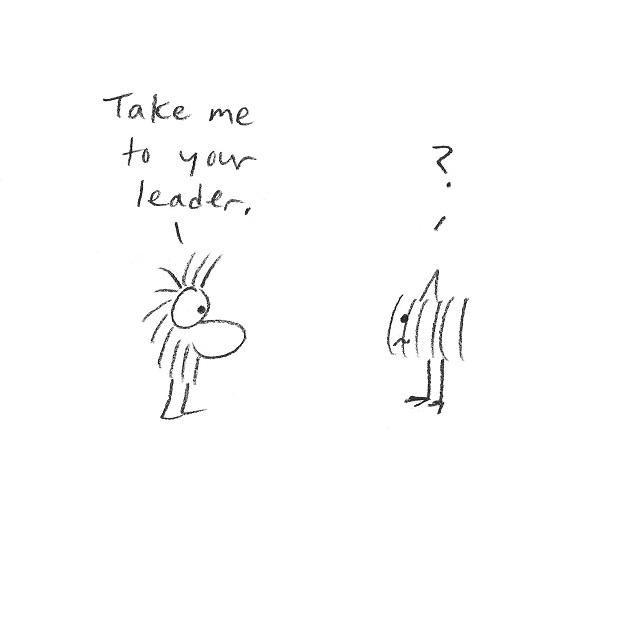 I loved your cartoon as it showed him that it was ok to be different. Now he is determined to make a cartoon like yours. Wow, good for you for believing in your son when the school did not. I'm glad you like the cartoon! Thank you for this brilliant blog! Can't wait to show it to my daughter! She is at the stage that she needs some answers and this is perfect. 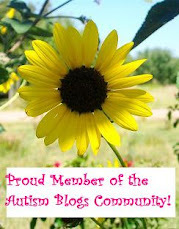 This blog is so great!! I am showing my son tonight!! And his teachers on Monday!!! Thank you for the blog. I can't wait to show it to my Aspie! Matt, I had commented on WrongPlanet that you should really do a kid version and it should be in every clinic that diagnoses kids. My son loved the adult version but he really appreciates the kid version. The cartoons are explained a bit more. Very well done. Now I hope that this gets distributed well into the hands of clinicians. 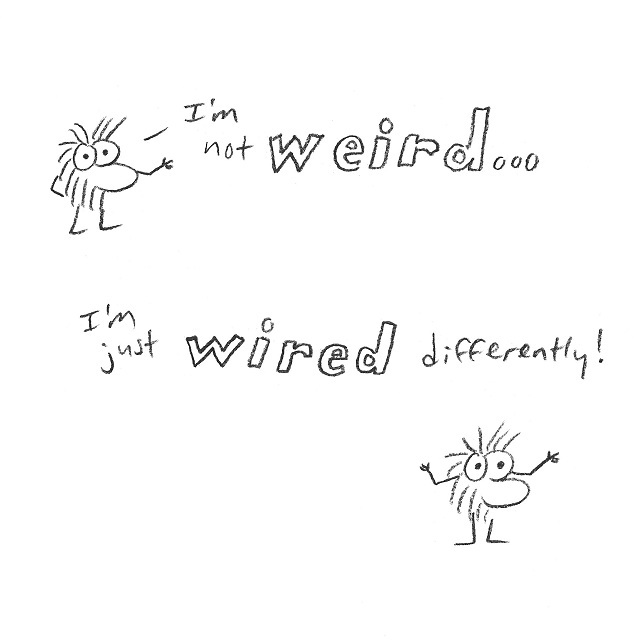 What a relief to know you aren't weird, but wired differently!!!! Schools should have this as well. Dude, this is such a rad way of explaining Aspergers that we're actually using your post to introduce our 10 year old boy to the term. He was diagnosed yesterday. This is terrific! Is it OK with you if I print this out to bring to my (PDD-NOS) daughter's school? I think the SPED teachers would love having a copy to stick up on their bulletin board as well. Thanks Mary - yes, feel free to share. 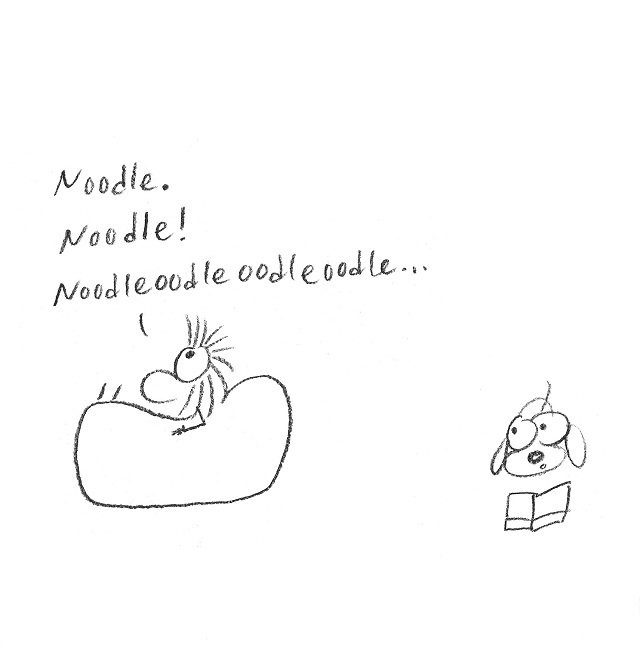 My 6 year old daughter and I just read this cartoon. Thank you so much for doing this! It was funny, totally cool for her, and did an awesome job explaining it. I decided to actually inform her of her diagnosis when she told me she literally thinks "she's an alien" and explained all the asperger's characteristics of why she's different from others... so we got a good laugh when we read "they might actually feel like an alien" lol. You've blessed us today so thank you! You rock. That's wonderful, I love hearing stories like this. You're welcome! I just love it. ME ENCANTA. oJALÁ CONSIGA QUE MI HIJA LO VEA.I only wish my daughter (asperger's, 13 years old) would read it. She doesn't want know ANYTHING about asperger's. She says it is my stuff or something, not hers. i'VE READ ABOVE THE CARTOON IS FREE TO SHARE??? (sorry I?m not shouting, it is keys' fault); is it true? So happy!!! I'm sharing now!! May I try to translate into Spanish? 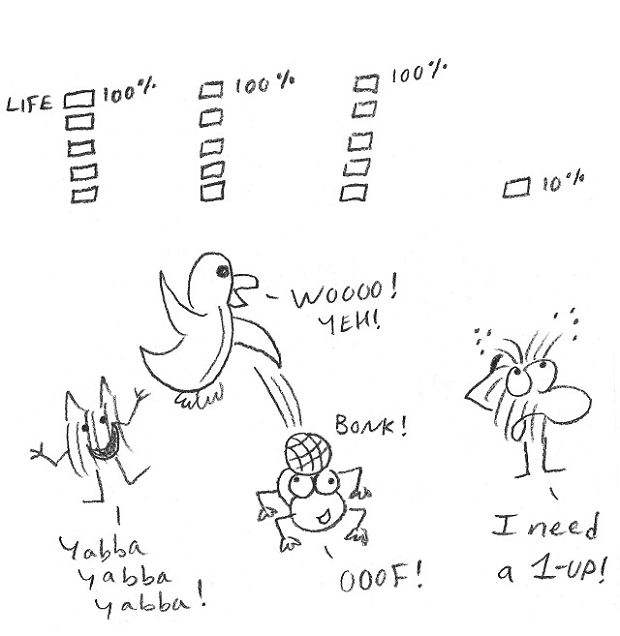 I just came across the blog, and I have to say even as a 42 year old I find the kids' version more relatable. But I don't know the phrase "I need a 1-up". It means you need more coffee, right? Internet peeps pls confirm or clarify. This is a brilliant, delightful way of introducing kids (and adults) to AS! Whether they have it or not, it can help people better understand the traits of AS and how to connect and communicate better with those that do! I love it! Way to go! Thanks, I'm glad you enjoyed it. Just received your book from Amazon. Can't wait to show my 10yr old son tonight. It seems perfect for him. Thank you Matt! This is so cute. It makes me feel fuzzy. Aws. It's so lovely! I think I'll print it and give it to my son's teacher (he is 7-years-old), hoping she realizes the great effort he makes to adapt to a new country, a new language, new friends (yes, he has...). He is amazing and I'm so proud of him! Thank you Matt! I help me understand my 12 years old daughter, thank you! I love this. My daughter (25) is on the edge of Asperger's and this helps me understand and explain things. She doesn't like to say she's an Aspie, and she may very well not be. Long live the spectrum! 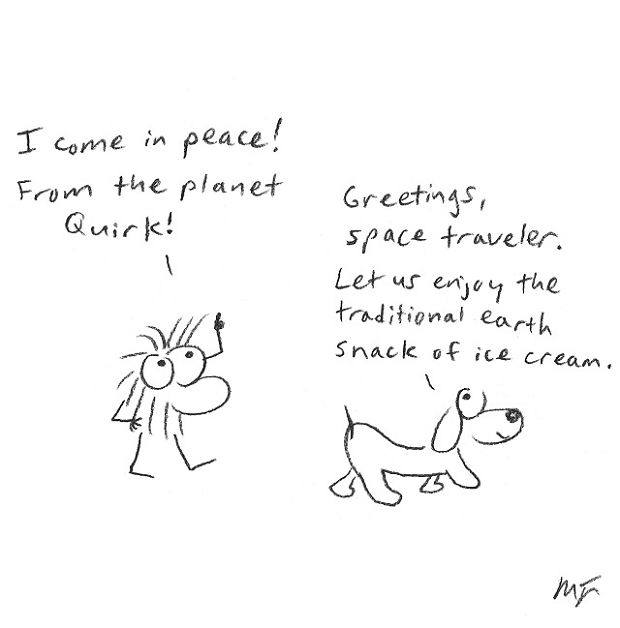 I come in peace from the planet Quirk. Text and images are copyright 2009-2018 Matt Friedman. All rights reserved. All characters are fictitious; any similarity to actual persons is purely coincidental. You may republish my cartoons for non-commercial purposes if you credit me by name and link to www.dudeimanaspie.com.